Hi everyone...If you had waxing before you should know the benefits of it right? Recently, I've been trying a wax from Norah and my life have been much more easier since then. 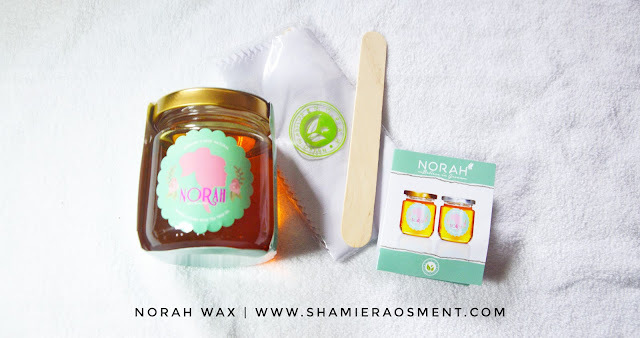 Norah is a hair removal product that specially design to remove unwanted hair from the root.It is 100% organic and made from honey, lemon extract and tea tree oil. And what special about this wax is, it came in two types which is hot and cold. 1. Heat it in for 10seconds in the microwave or heat in hot water. 2. Let it rest for a while. 3. Apply it at the unwanted hair, and Pat it with the given cloth. 4. Remove the cloth and rinse it. Norah Cold Wax is specially design to use on the go. It doesn't have to be reheat thus it is suitable for traveling. So, it easy to be use. You just need to open the bottle and apply it at the area that you wanted. 1. Remove unwanted hair from the root. 3. Soft and smooth skin. So unlike shaving. Shaving will darken your skin, will make the hair growth faster, give irritation to your skin and also will add an ingrown hair to your body. 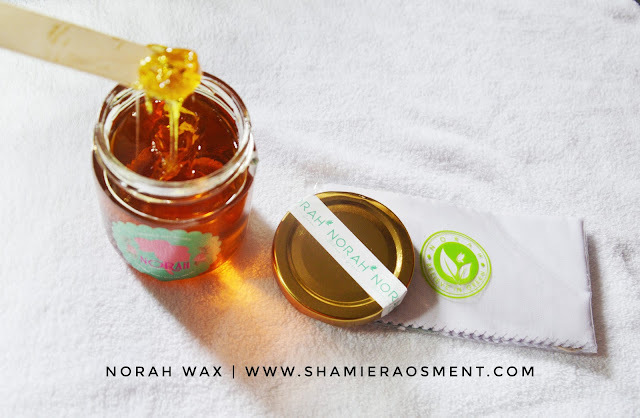 Let's start waxing and stop shaving! Eh akak nak try la...tau benda ni bagus..
macam menarik jee.. macam best je.. satu je nak tanya, sakit ke idok??hehehee.. OMG Nak wax hehehe kita pernah buat dulu zaman tak pandai terus ada kesan kat kulit wakakkakaka..